A fashion designer in Grundarfjörður, Signý Gunnarsdóttir, on the Snæfellsnes peninsula produces her own silk. She breeds silk worms in her garage. 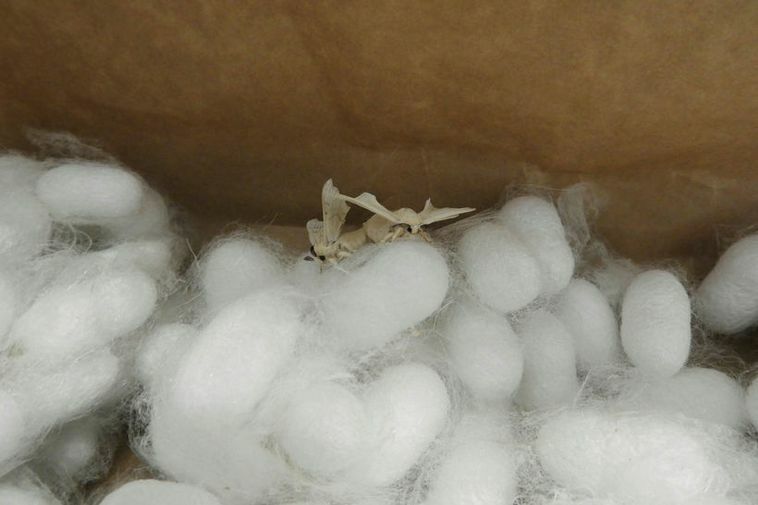 Five batches of silk worms have already been produced with one to two thousand worms in each. Gunnarsdóttir says that her interested in silk worms started when she began her fashion and textile studies. She is also seeking a cheaper, local alternative to feed the silk worms so that the production can increase. "It's possible to blend seaweed with Icelandic wool and make silk worm yarn and therefore increase the selection of Icelandic yarn," she explains in today's Morgunblaðið.